I am an undergraduate for Cal State Los Angeles and i'm taking a class in California history. I need to do a paper on a city of los angeles. What better city than echo park. Growing up there for twenty one years i still don't know the city very well. I want to interview someone who has been living in Echo Park for a very long time. Suggestions with contact info. would be greatly appreciated! I have been here in Elysian Heights for 32 years but there was a lady I used to train that has been here since the 1950's if she is still alive--I hope so. And a man down on Princeton that has been here for quite a while Mr. Elmer who used to teach at Elysian Heights Elementary School on Baxter and Echo Park Ave. Contact me if you think I could be of help. I remember living in Echo park. I went to school at Elysian Heights from 1st grade until 5th. I remember riding our bikes into Eylisian Park through the back road and the stairway that took you to the park. We lived across the street for years until we moved in88. Those where one of the best times of my childhood. Not only that my bro and I use to raise hell in school a lot. Good times though. I was born in L.A. and lived at Cerro Gordo and Valentine from 1929 through my childhood. Went to Elysian Heights, Thomas Star King and Marshall High. I wrote a book (historic fiction) about my family that actually bought the property from Clara Kimball Young. Mother was a dressmaker for some stars. Earl Kinette lived on our property, later across the street, and bombed an inspector of the police, then went to prison. The book is "Reluctant Angels, Secrets of a Hollywood Dressmaker." I'd enjoy being in touch with anyone who grew up in the area about that time. Hey everyone. I am a student at UC irvine and I am writing a Thesis on the gentrification and development of Echo Park. I would also like to interview any long time resident. Please let me know if anyone would like to contribute. Thank you! In the sixties, and possibly seventies, she lived on Clinton St. near Belmont Ave. I lived at 711 N. Bonnie Brea from December, 1960 to June, 1965, and again from 1969 to June, 1972. Very late reply. I knew Frank Glass and Grace Simons, who started the Citizens Committee to Save Elysian Park, they were my neighbors. Just how are we supposed to contact and network, if we don't have your email address? I grew up in Echo Park from about 1957 to 1973 on Bellevue Ave. went to school at Cortes Elem. ( now Betty Plascencia Elem.) then to Our Lady of Loretto on Union. 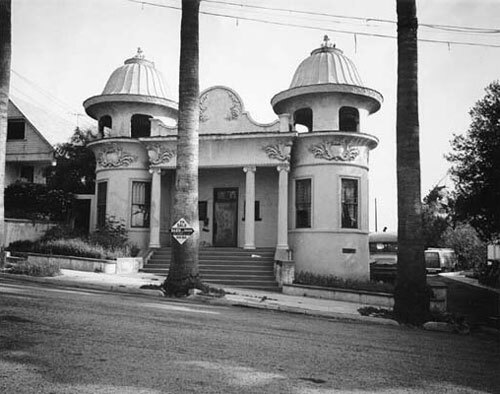 was a patron of the original Echo park branch library until the earthquake forced its closure. I would be happy to assist.